News, photos, videos and more about football hooliganism in Argentina. 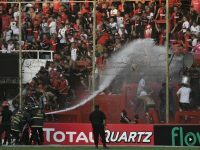 A Copa Argentina match between Newell's Old Boys and Villa Mitre was abandoned in extra-time on Sunday because of fan trouble. Los Andes fans fought amongst themselves during their Primera B Nacional match against Brown de Adrogue on Saturday. 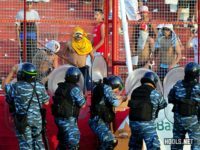 Guaraní Antonio Franco fans fought among themselves in the stands during their Torneo Federal A match with Sol de América on Monday. Los Andes fans clashed among themselves and police during the match.